Thanksgiving is just 10 days away! Do you have your menu together? Check out some of our team’s favorite recipes for Thanksgiving dinner! During the Thanksgiving holidays my favorite recipe would have to be roasted turkey! I especially love the crispy skin of the turkey with the gravy on top! I like cooking the turkey the whole day and carving into the meat when it’s done! I would have to say my favorite dish for Thanksgiving feast would be Sweet Potato Casserole. I am a big fan of sweet potatoes, they just get me every time. I love them even more when they have walnuts with them. They’re just amazing! A little bit of sweet and savory. You can eat them as a side dish or as a dessert. A side note, I also love ambrosia! Hands down Lasagna! I would have to say that even though this may not be a classic Thanksgiving dish, it happens to be a dish that shows up on the table every year for Thanksgiving, so no complaints here! I must have two servings before I even care to try anything else. It’s so good that it always leaves me ready for a nap by the end of it. The flavor of the dish gets me every time! I would have to say that every Thanksgiving I love eating a baked sweet potato. The texture is just one of my favorites. I like the taste and texture of sweet potatoes much more than the regular mashed potatoes. At one point, I would have it for breakfast every morning. Thanksgiving is not a big thing for my family. Reason being that we are not fans of turkey, but if I had to choose a dish, I would pick prime ribs. They are so tasty and make everyone happy at the dinner table. When my family gets together for Thanksgiving we enjoy chicken, since none of us eat turkey. My favorite is roasted chicken because it can be made so many different ways. 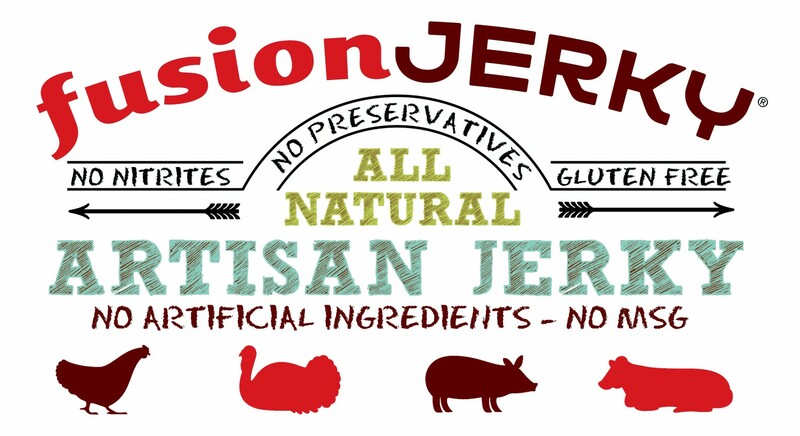 Fusion Jerky wants everyone’s holidays to be filled with jerky love! Starting on Thanksgiving Day, we will offer you 25% off your purchase of our gift bags! 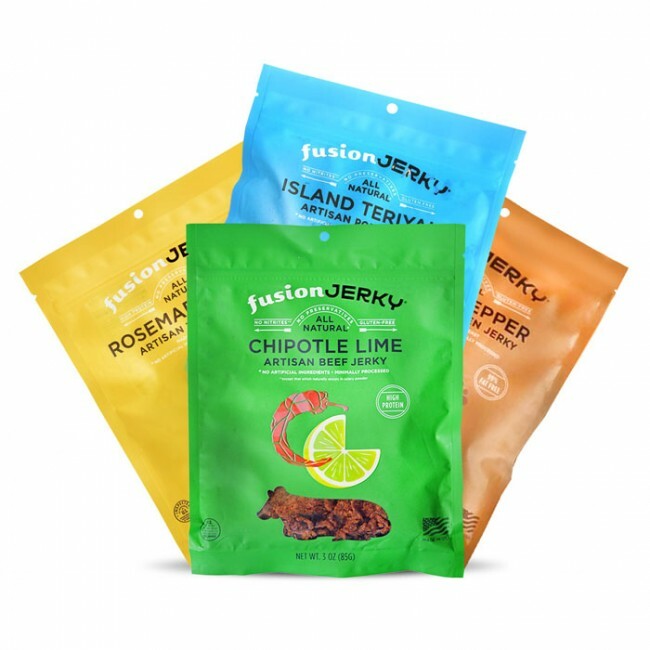 These awesome bags come with a variety of our flavors and a Fusion Jerky water bottle. Make sure you lookout for our deals coming to you on Black Friday!! We will be posting the codes for this amazing deal on our Facebook, Twitter, and Instagram accounts! Don’t miss this great opportunity! Follow Fusion Jerky and lookout for the THANKSGIVING deals and promos we have going on! You must follow us to get our exclusive Turkey deals!